Americans have never been big fans of flu shots. During the 2009 “swine flu” influenza A pandemic, only about 40 percent of adults bothered to roll up their sleeves. Last year, flu vaccine rates were still just 47 percent for adults but pediatricians had vaccinated 75 percent of children under two years old. Perhaps it is because parents are being thrown out of pediatricians’ offices if they don’t give their children every federally recommended vaccine – or maybe it is just because adults can talk about how they felt after getting vaccinated and infants and children under age two cannot. Now, the CDC is admitting that flu shots don’t prevent influenza most of the time. In fact, studies show that a history of seasonal flu shots can even make people more susceptible to getting sick with a fever, headache, body aches and a terrible cough that hangs on for weeks! But just like with pertussis infections, a lot of people also get and transmit influenza infections without showing any symptoms at all. 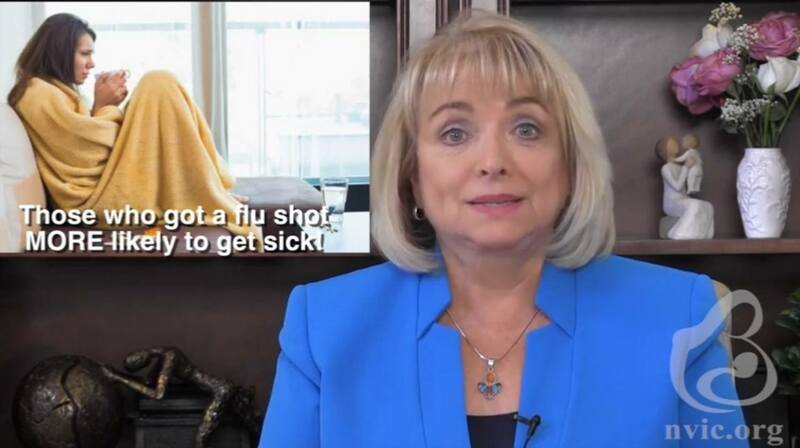 It is shocking that government health officials have now devised a National Vaccine Plan that lobbies for every single American to get a flu shot from cradle to the grave.